Filled with smart tips given in the Fox signature style, counter-intuitive, controversial, and practiced, this hard-hitting collection of sales advice shows readers how to woo, pursue, and finally win any customer. In witty, succinct chapters, Fox offers surprising, daring, and totally practical wisdom that will help readers rise above the competition in any company in any field. A terrific resource for CEOs, as well as anyone looking to distinguish themselves in sales be it books, cars, or real estate. 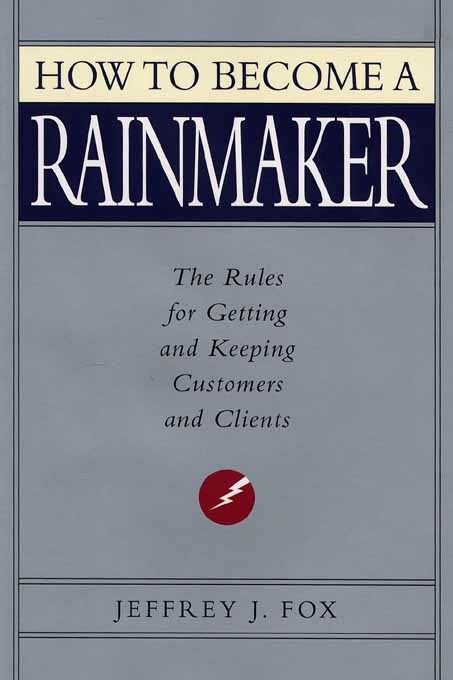 How to Become a Rainmaker offers the opportunity to rise above the competition in any company, in any field.